Variety is not the spice of life; it is the very stuff of it. Where else can the whole world gain 24-hour a day, 365-day a year access to your business and the range of services or products you offer? You’re no doubt convinced of the myriad benefits to your business being ‘online’ - but then... so are your competitors! 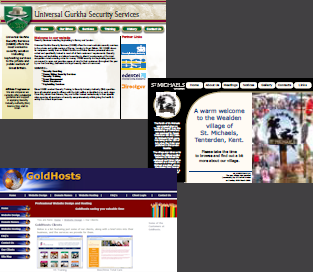 We work closely with Goldhosts - an established local web authoring and internet service provider - to ensure that not only do you get a web site that looks the business... but works seamlessly to promote your business.